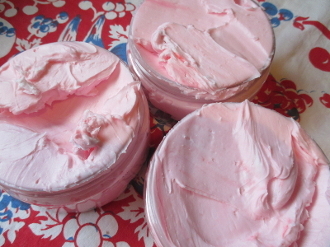 Our Products >> 4 Ounce Love Haunt Body Butter-Stay On Their Mind! Have a long distance relationship or are you growing apart? Use this body butter, along with focused thought and prayer, and stay on their mind even when you are apart. Keeps lovers from straying and helps you make a serious impression when needed! Use after your bath/shower (try my Love Haunt soap!) before seeing your desired partner. Use in conjunction with my Love Haunt oil on a red figure candle of the apropriate gender for the target. Created with my own secret herbal blend along with apple, magnolia, peach and opium oils.